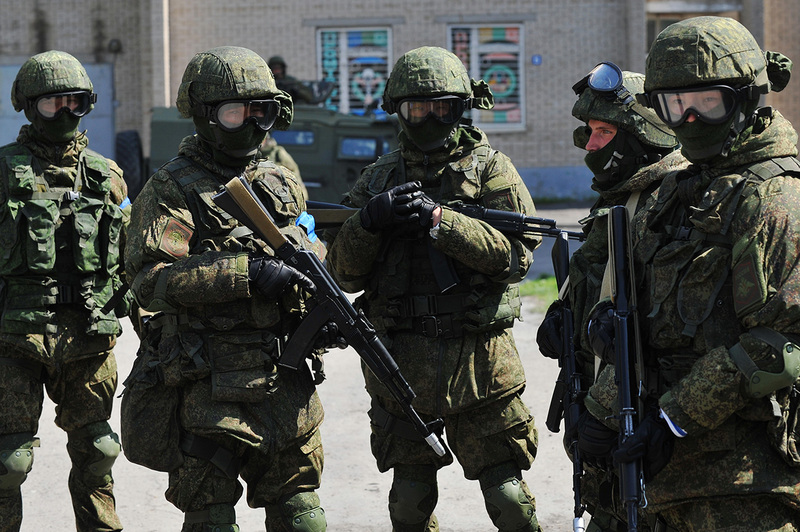 Russian Special Forces hold counter-terrorism drills in the Rostov Region. RBTH has compiled information from open sources about the most famous covert operations by the Russian Special Forces. Since most of the information concerning these events is still classified, we cannot confirm its veracity. The Russian Special Forces were created right after the end of the Second World War and have most been involved in covert operations worldwide. What started off as the Spetsnaz GRU (a part of the Main Intelligence Directorate of the Defense Ministry) in 1949 has developed into into a highly diversified structure of narrowly focused special units. Russia now has units to operate under water, in the Arctic region, mountainous areas, and foreign countries, where tasks might even include toppling governments. As all activities of the Special Forces are top-secret, we can only talk about the most famous covert operations described in open sources. The first major foreign operation of the Special Forces came in 1968, when Moscow decided to crackdown on the Prague Spring and move the troops of Warsaw Pact countries into Czechoslovakia. The Spetsnaz GRU was tasked with capturing the Prague Airport. On the night of Aug. 21, 1968, a Soviet passenger plane requested an emergency landing at the Prague Airport, allegedly due to engine failure. After landing, the commandos, without firing a shot, seized the airport and took over air traffic control. At the same time, Special Forces units that had infiltrated into Prague a few days before the operation, seized control of other key city points. Several hours after the airport was taken, the combat vehicle of the airborne troops surrounded the building of the Central Committee of the Communist Party of Czechoslovakia, where there was an emergency meeting, and took away the entire leadership to Moscow. The same year a Special Forces group of nine people from the Spetsnaz GRU penetrated a secret U.S. airbase in Cambodia. New Super Cobra attack helicopters, equipped with the latest guidance systems and guided missiles were based there. As a result of a 30-minute operation, one helicopter was stolen and taken to Vietnam, while the rest were destroyed. 15 Americans were killed or wounded in the operation. According to Russian sources, the U.S. learnt about the attack on the base by Soviet Special Forces years later, thanks to a KGB leak. The finest hour of the Soviet Special Forces came in Afghanistan, where they were used in full scale and cooperated with each other. One of the first and most difficult tasks of the new Muslim battalion of the GRU, recruited from the native inhabitants of Central Asia, was to help the KGB’s Alpha and Zenith Groups to storm the residence of the the Tajbeg Palace and to capture Afghan President Hafizullah Amin. This operation – later known as Operation Storm-333 – is now the most famous operation of the Russian Special Forces. Shortly before the operation, which took place on Dec. 27, 1979, people from the Muslim battalion were implanted into the palace guards. They had to neutralize the guard and then help Alpha and Zenith teams get into the palace. The operation was thought to be impossible, as the handful of commandos confronted 1,500 Afghan soldiers, including Amin's personal guards. During the assault, the Soviet squad lost just six men. The experience gained in Afghanistan showed that the Soviet Union might need the Special Forces for sabotage acts outside the country. For this, the authorities created the KGB Vympel Group, which was considered elite, even by the standards of Special Forces. During a false-flag exercise, Vympel was supposed to “overthrow” the government of the Latvian Republic, as well as disrupt the local KGB. Is the Yak-141 the 'father' of the F-35B? The local KGB unit was aware of Vympel’s plans, but nevertheless was unable to do anything. One of the participants told a Russian media outlet that 10 Vympel groups took part in that operation called Amber-87. Each of them had a specific task. All the tasks were performed successfully. One group was supposed to capture the head of a department of the local KGB. Special Forces captured him at home, before unscrewing the light bulbs in the staircase of his building. According to open sources, over time, Vympel’s area of responsibility included the protection of critical facilities. For example, they were engaged in the protection of nuclear power plants and identifying their weaknesses. Thus, in 1988, Vympel managed to enter the territory of the Beloyarsk Nuclear Power Plant in just 42 seconds. The operation’s planning took over one month. The successful penetration led to a rethink on how such infrastructure needed to be protected. The youngest and most secretive of Russia’s Special Forces is simply called the Special Operations Forces. According to open sources, the unit was created in 2009. They use contractors who have experience in other special units. According to Russian media outlets, the unit may have participated in the assault on Palmyra in Syria. Lenta.ru claims that the Special Forces are used against terrorists from North Africa to Afghanistan, as well as some of the former Soviet Central Asian republics.